October 1 is Saint Therese of Lisieux's feast day. 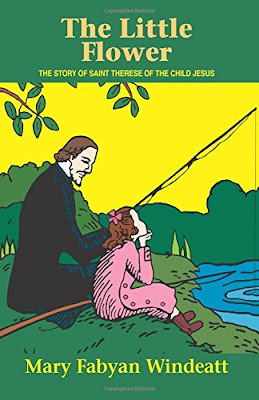 She is my favorite Saint! She inspires me in so many ways and I'm still learning more about her life and how her "Little Way" can be applied to my own life as a wife and a homeschool mom. 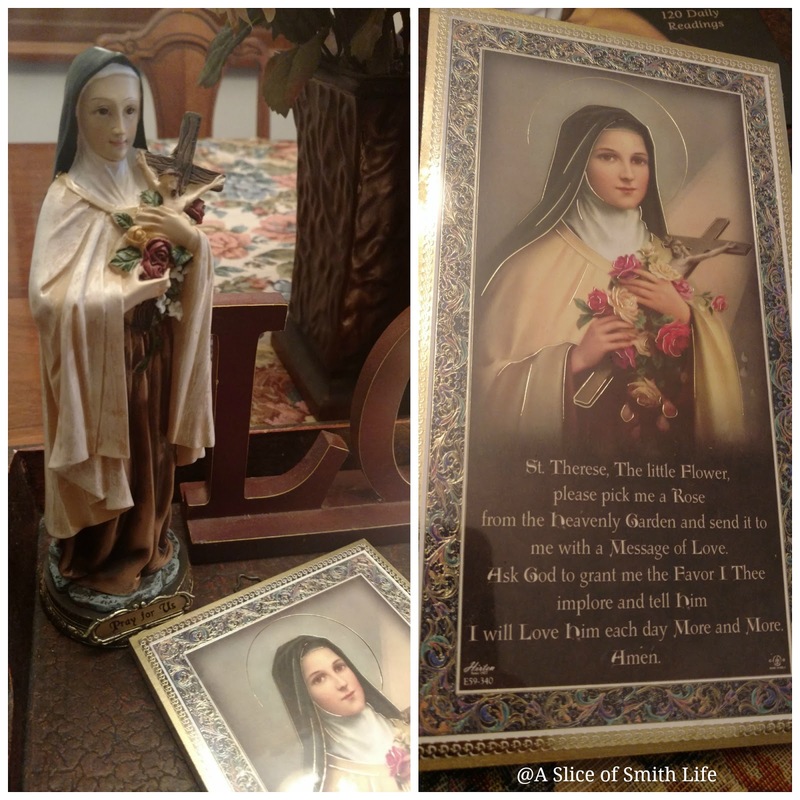 I tell all about why I have grown to love this beloved Saint in my blog post that I wrote in October 2015 with details of how a trip out of the country helped me to "meet" her and inspired my husband and me to name our 5th child after her. 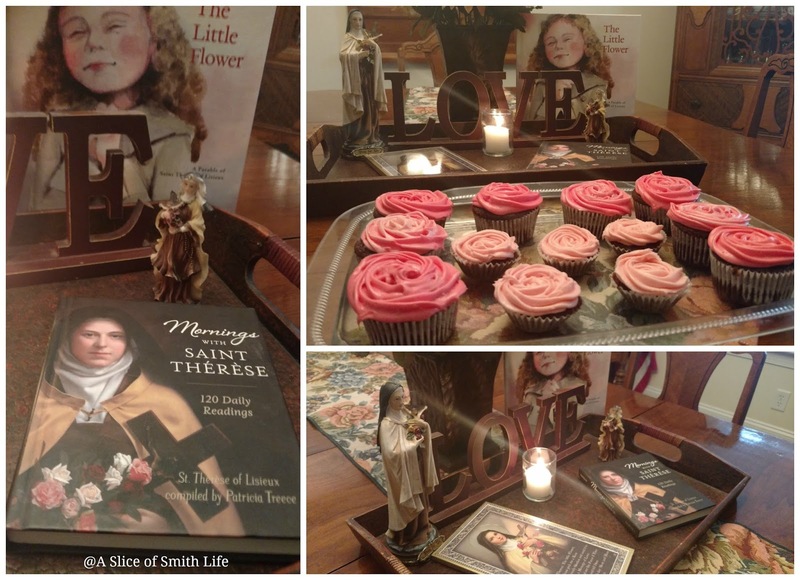 This year, similar to the past few years, I set up a table in honor of St. Therese. 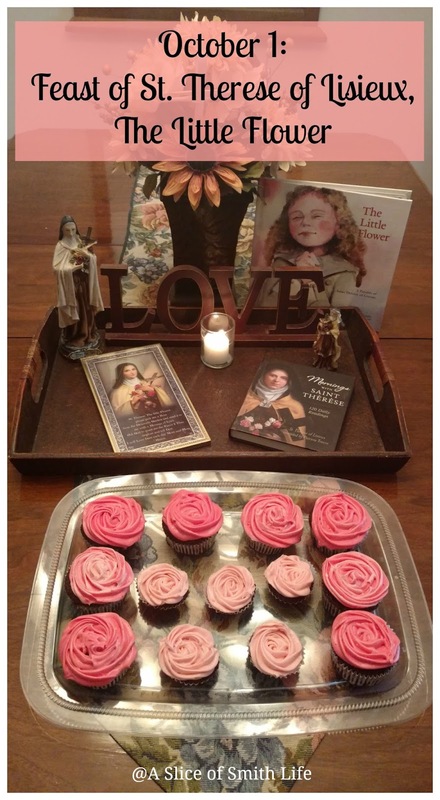 Our family read some books about her and had rose cupcakes. This year my 8 year old daughter, whose middle name is Rose, helped me decorate the rose cupcakes since St. Therese is affectionately known as "The Little Flower". 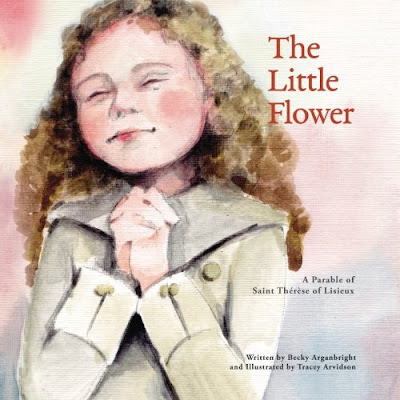 We read from The Little Flower: A Parable of Saint Therese of Lisieux, which is a beautifully illustrated book about how St. Therese saw herself as a little flower in a garden full of a variety of beautiful flowers. 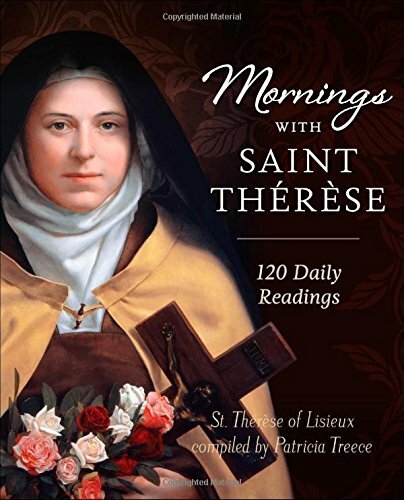 I won the book Mornings with Saint Therese: 120 Daily Readings at The Edel Gathering in July 2015. I just love reading these short quotes and reflections by St. Therese. Another book we own and enjoy is The Little Flower: The Story of St. Therese of the Child Jesus. 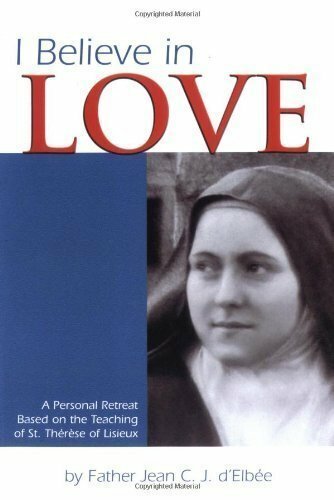 And I'm currently reading, (along with Raising Chaste Catholic Men: Practical Advice, Mom to Mom), I Believe in Love. 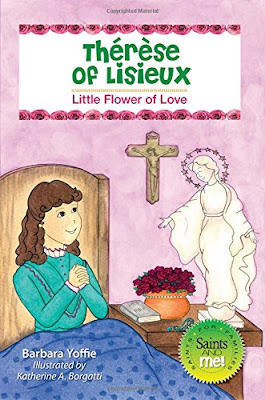 If you have younger children, I just discovered Therese of Lisieux: Little Flower of Love. 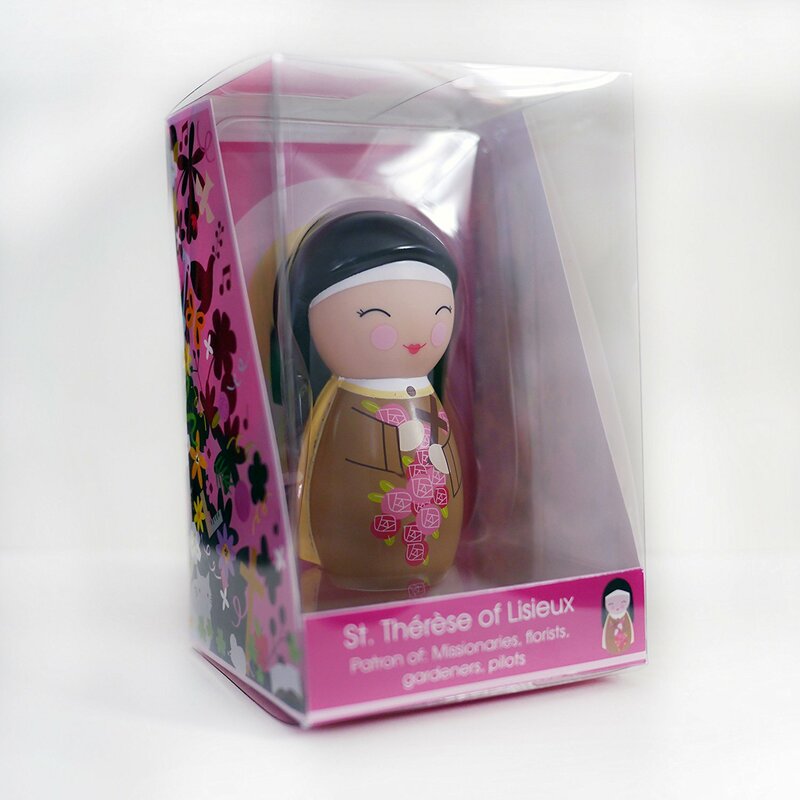 Another great gift idea for a young child (or an adult ;) ) is the St. Therese of Lisieux Shining Light Doll. I ordered one, but haven't received it yet, but I'll be tucking it away for a future gift for someone special. 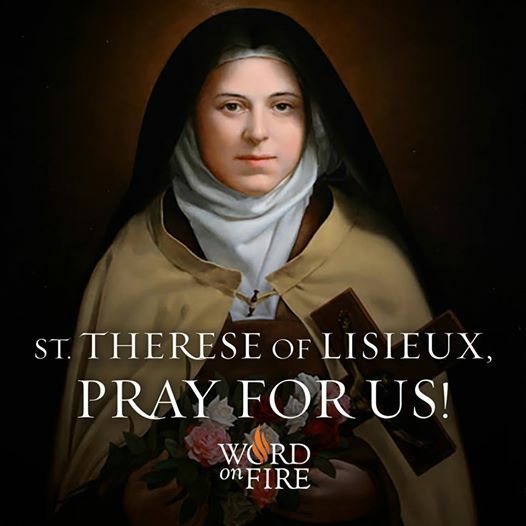 If you would like to find out more about St. Therese of Lisieux be sure to read I Didn't Like St. Therese of Lisieux...Until I Learned These 8 Little Known Facts About Her, which includes a short video by Bishop Robert Barron on the life and lessons of St. Therese of Lisieux. Have you heard this about St. Therese before? 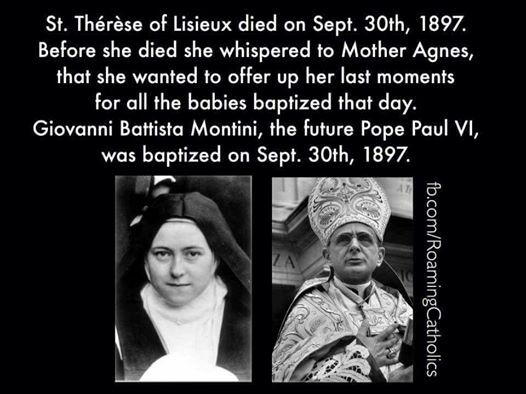 I find this fascinating!